Well, according to The Lawn Institute, well-designed and maintained landscapes increase a home property value by 15-20%. Okay, so maybe you should listen to Pat and pay a little more attention to your yard. Here are a few signs that say your lawn needs some professional help. If you look at your lawn and it’s slightly yellow or brown, you might need some help. Being in Colorado, the grass is primarily cool-season grass. This means, even if you think you’re caring for your grass you might not be taking care of it the proper way. 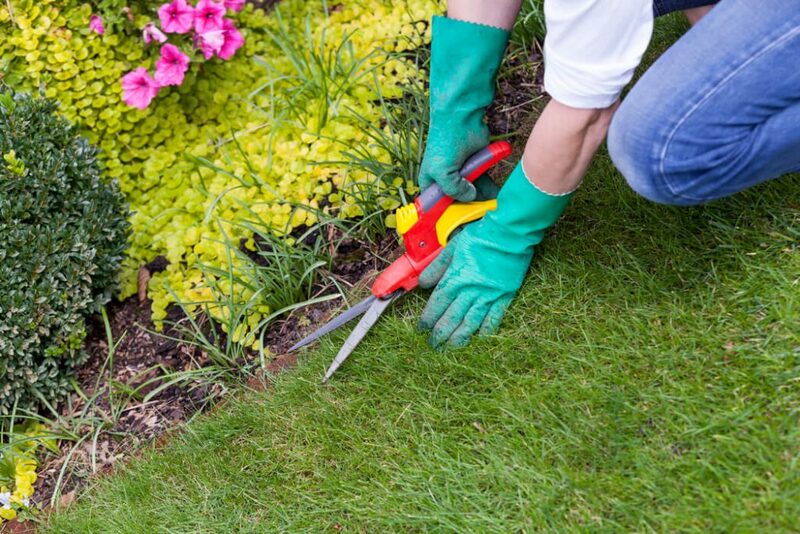 You could be experiencing non-green grass for reasons other than misinterpreting your yard’s preferred season, but overall if your grass isn’t green, it’s definitely time to look into professional lawn care services. Do you see numerous dandelions and mushrooms in your yard? It might be time to spend some quality time with your yard. According to the New York Times, not only do weeds and fungus make your yard look bad, they can be the cause of your allergies. Mushroom fungus spores are so small that they are infecting your air quality and could be the cause of your sneezing. Weeds and fungi in your yard are not necessarily your fault. Weather conditions in Colorado could be creating this. Nevertheless, this is a sign of your lawn needing attention. Have you noticed more grasshoppers, spiders, mites, worms, and other creepy crawly creatures lately? Non-healthy lawns attract grubs, beetles, grasshoppers and other insects that lay eggs in your yard. Once they lay their eggs, the baby insects eat the roots of your grass causing your lawn to be brown and unhealthy. Ultimately, these creatures are eating and ultimately killing your grass, spreading diseases, and might be the cause of your children’s tears. Now, don’t start spreading pesticides all over your lawn, but start looking into professional options so you can solve your lawn and other problems associated with bugs. These three things are not the only reason your lawn isn’t reaching its maximum potential, but they could be at least one of them. If you haven’t given your lawn the attention it needs in a while, it couldn’t hurt to reach out to a professional and have them come look at your lawn. Who knows, one visit from a professional could increase your entire home value by 15-20%. Do you have a question about your lawn that was inspired or not mentioned in this article? Ask our experts your lawn questions. We’re happy to help.